This storage bench showcases clean lines and natural wood grains for a contemporary take on rustic style. The top lifts open to reveal storage, while the upholstered seat provides a great place to sit as you put the finishing touches on your outfit. 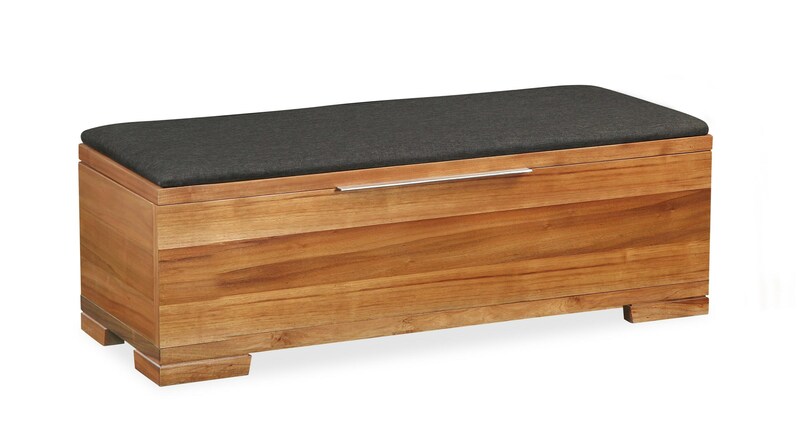 The Clifton Storage Bench by Global Home at HomeWorld Furniture in the Hawaii, Oahu, Hilo, Kona, Maui area. Product availability may vary. Contact us for the most current availability on this product. The Clifton collection is a great option if you are looking for Contemporary furniture in the Hawaii, Oahu, Hilo, Kona, Maui area.